Down goes Colin Cowherd. 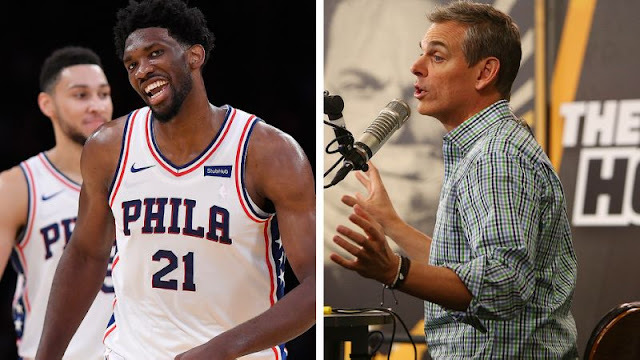 Back in October, the Fox Sports Radio star stated that he was absolutely certain the Philadelphia 76ers wouldn’t win more than 40 games this season. He even guaranteed he’d wear a 76ers jersey if they accomplished the feat. The Sixers won their 40th game of the season, defeating the Memphis Grizzlies. Embiid fired a salvo immediately afterward. The Sixers (40-30) currently sit at fourth in the Eastern Conference standings, just 1.5 games behind the third-place Cleveland Cavaliers.